When you look for a self-storage unit to start up your business, keep your stock or to just move your furniture into for a short time, you probably don’t think much further than the cost. But there’s more to finding the right unit that meets the eye. If you’re familiar with the Cookes brand, you’ll know that we are a family business. After 70 years, we’re proud that the 3rd generation is now running the day-to-day operation, and you’ll often find the 4th generation visiting their parents at work whenever they can. 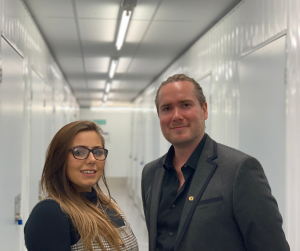 All of which means we’ve got a family atmosphere running through the business, including our team – and that warm, welcoming ambience becomes obvious to customers, just as soon as you walk in. So what does that mean for you? Well, you’re always assured of a warm welcome, where our team are professional, but relaxed, and customer service is natural, not just terminology. In days gone by we’d have been the first out to carry every item of your furniture into your unit for you, and although modern day regulations have restricted us, we’re still happy to offer a helping hand where we can. You’ll notice the difference between Cookes and other self-storage companies in everything we do. We’re not restricted by corporate culture, over-bearing behaviours passed down by a remote head office or the cold, impersonal touch of a chain. If you’re running a business and you need something different for your unit – extra lighting maybe, a few plug sockets or something else – all you need to do is ask. Our contracts are flexible, and we can work with you to find a solution. After all, as a local business, we know the importance of community, and we’re personally interested in helping your business grow. The personal touch is more than just having a coffee for you when you walk in – although we do that too. It’s about putting a name to a face and lending a helping hand. If you need an extra half hour, or have to come in early, then we can work with you to make it happen. Community, to us, is about working together. Cookes has grown to be a recognised name in the local area, not only for our business, but by working with the people who live here. 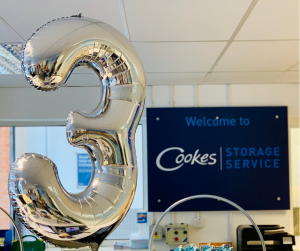 Cookes Storage is proud to carry on that name – we’ve just celebrated our 3rd birthday and we’re still growing. We’re involved in supporting charities, including the Great Midlands Fun Run, the Buddy Bag Foundation, Toys4Tots and so many more. 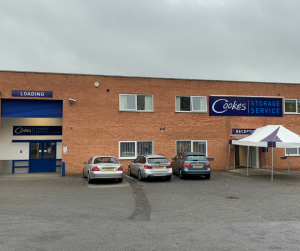 If you’re looking for storage – for business, for personal use, to move home or as a place to keep your stock – come down to Cookes and see the difference the family touch makes. To all of our customers, the people we meet out and about, and to every one we’ll meet in 2019 – we wish you a very Happy New Year.